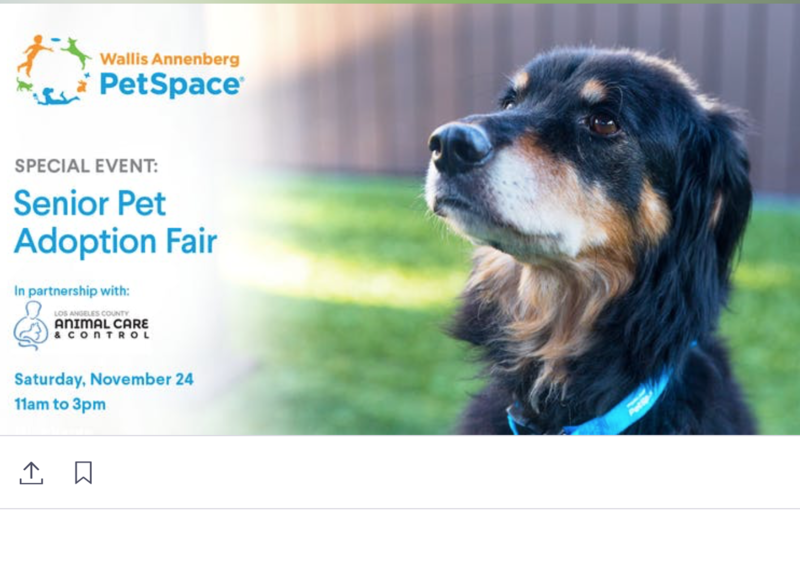 November is Adopt a Senior Pet Month and Wallis Annenberg PetSpace is devoted to finding forever homes for senior dogs and cats! We are proudly partnering with the County of Los Angeles Department of Animal Care and Control to offer senior dog and cat adoptions at this special event. Meet with experts at booths to learn about the amazing qualities of senior pets and how enriching life can be with one of these companion animals. Plus, discover products and nutritional offerings specifically geared toward older pets. Younger guests can join a very special Paws & Pages storytime session, as Lisa Wiehebrink will be reading her Gray Whiskers book and signing copies too. Face painting and refreshments will also be provided, free of charge. Be sure to bring the entire family to this heartwarming event!